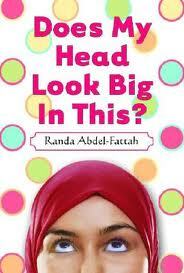 Summary (from the back of the book): Amal, an Australian-Palestinian girl living in a suburb of Melbourne, makes the biggest decision of her life, to wear the hijab, the Muslim head scarf, full-time. In spite of her parents' gentle warnings and the ostracizing that is sure to come from the other kids at her snobby prep school, Amal's decision springs from a deep sense of faith, and she is certain--well, almost certain--that she's ready to take this step. But can she handle the taunts of "towel-head," navigate the wilds of a mad crush, and stay true to herself? Amal is sassy, intelligent, sensitive, and hilarious, and her journey of faith will take readers down an unexpected and very entertaining path. 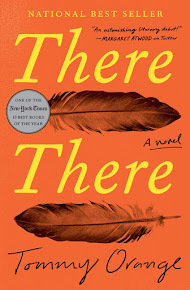 Review: I have been meaning to read this book for years, but had forgotten about it until this summer. It seems to fit given the things being said by Trump in the media about Muslims. The book takes place in Australia, but really it could be any "western" nation with immigrants who look different from the majority population. So many issues get covered in this story without it sounding preachy at all. I do think our American students can relate and see themselves in the problems facing the characters. Amal is a delightful narrater! She is smart and funny, which makes the tough conflicts and bullying in the book easier to read. She has smart comebacks and handles the nastiness well most of the time, but also has her moments of anger, fear, and sadness. She doesn't want to represent all Muslims and doesn't want to have to explain how Muslims can bomb and kill. She is tired of people stereotyping and treating her badly because she has chosen to wear the hijab. I love the reasons Amal gives for her decisions. She shows that it is her decision (her parents are actually against it) and what it means to her to cover. I also liked that although she has decided not to date or get physical with a boy, she still has crushes and still wants to be liked. In fact, those moments are some of the best in the book: when Amal is a typical teenager. For that reason I also like her circle of friends: Leila, whose family is very strict Muslim; Yasmeen, whose family is very relaxed Muslim; Eileen, from a traditional Japanese family; and Simone, the overweight white girl. They cover the spectrum and so all their issues get heard. While sometimes I felt like the author was using this book to make her point about immigration, how we treat others, bullying, etc, I didn't care! I enjoyed reading this book every moment.